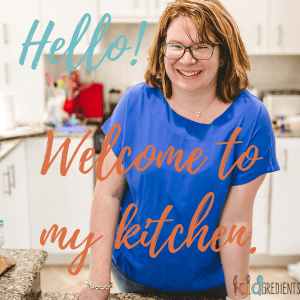 You are here: Home / Recipes / Lunchbox / Beef and veggie pasties, kid friendly pies! Winter is all about comfort food. 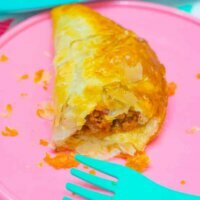 And beef and veggie pasties are one of the best comfort foods I know! Seriously, what’s not to love about pastry wrapped around a delicious filling? 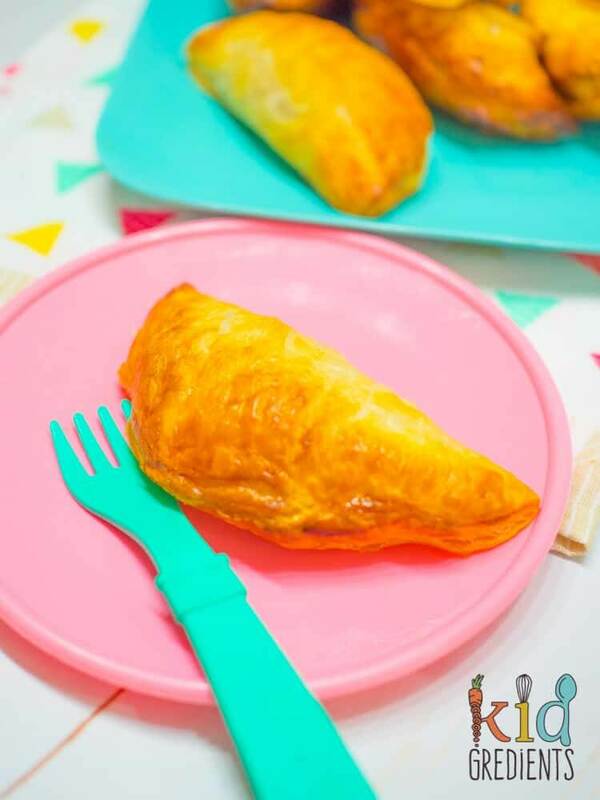 These pasties are also awesome because…they are a budget dinner! Making your own pies and sausage rolls is a bit of a thing for me, I don’t normally like the flavours and textures of storebought pies and sausage rolls. So I make my own. 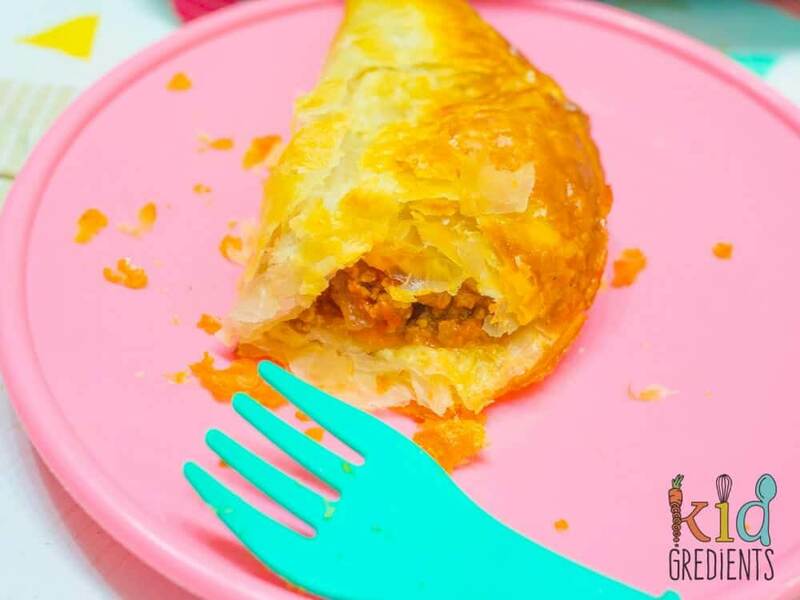 There are a few different recipes on Kidgredients that I recommend you try, like these lamb mince pies or these pork and apple sausage rolls. 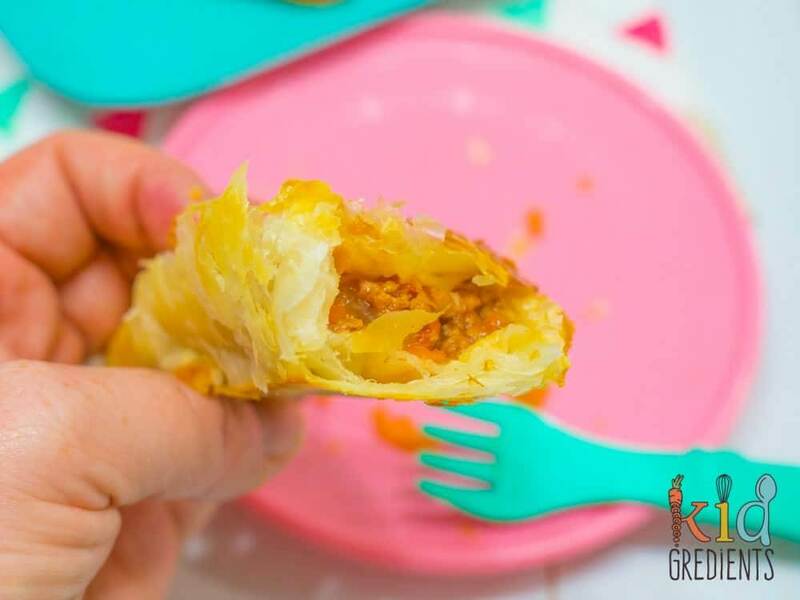 The post that gets second highest pageviews on my blog are these healthier beef sausage rolls. Now I’m all about budget meals at the moment, and budget meals don’t have to be tasteless or unhealthy. 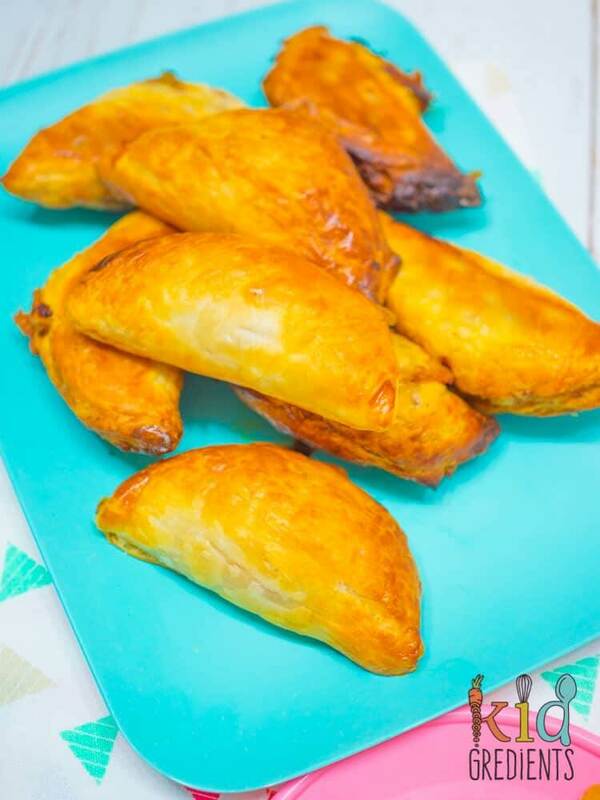 They can be fun and yummy too, just like these pasties. 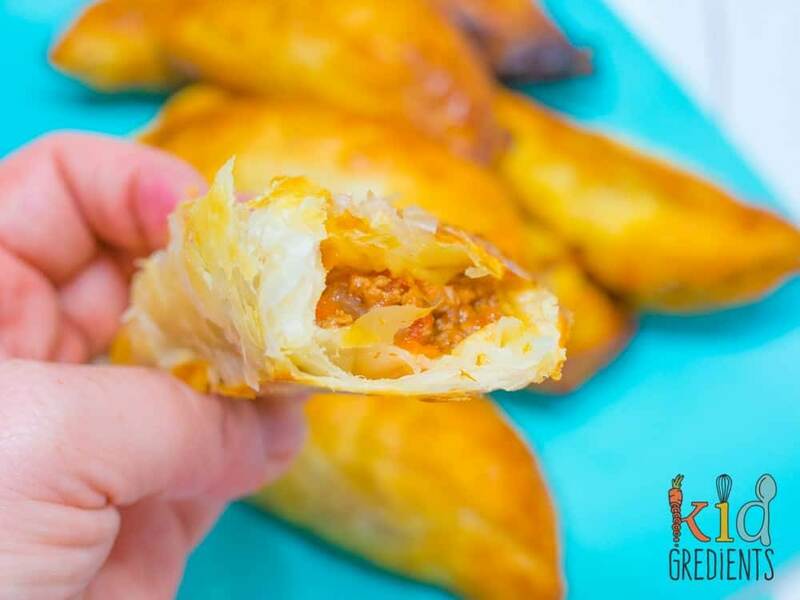 The cool thing about them is they are kid friendly too, with all the ingredients cooked in together, and easy to hold in one hand for kid eating. The recipe below makes a double batch of the mince mixture, which means you can freeze some uncooked to make another day. That means dinner is but one step away! If you freeze the pasties uncooked, freeze them on a tray until solid and then transfer to a container or ziploc bag. That way they won’t stick together. Remove from the freezer straight to a baking tray, eggwash and then cook for 25 minutes to ensure they are cooked through. These are also super yummy cold. I became obsessed with pasties when we lived in the UK. Mainly because anything wrapped in pastry tastes inherently better. 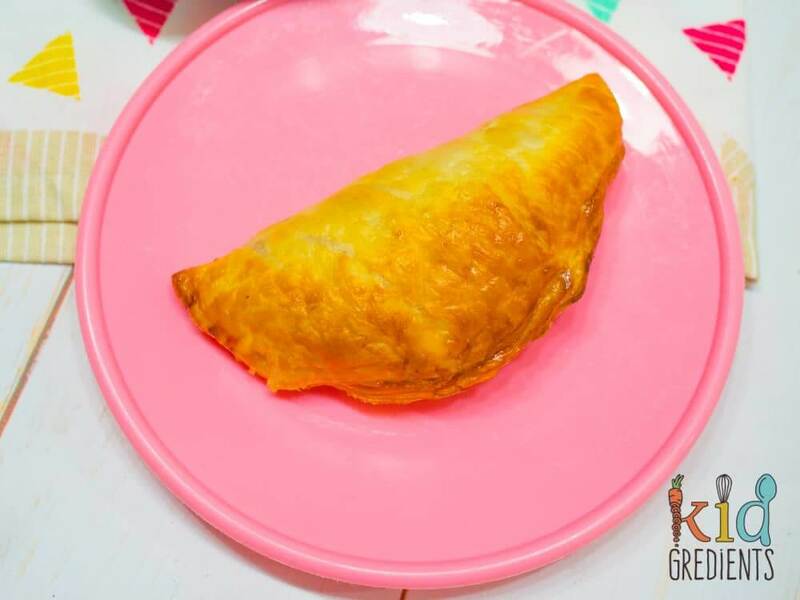 I don’t think these beef and veggie pasties are at all authentic, they certainly aren’t cornish, but they are a hit with the kids and that means they are regulars here! What's not love about a pastie? Beef and veggies and oh so yummy! Heat the oil in a saucepan and fry the onion and beef. Break up any lumps in the beef and continue cooking until it is well browned. Add the zucchini and carrot and stir through. Add the tomato polpa and the worcestershire sauce. Cook for ten minutes. Add the plain flour and stir quickly to unsure it it mixed in. Add the frozen peas, cook until warm. Cut 4 large circles from each sheet of puff pastry (around 12cm). Place 2 tbsps of filling in the middle of each circle and fold to make a semicircle. Crimp the edges between your finger and thumb to seal. Whisk the egg with 1/4 cup of water. Brush each pasty with the egg mix and place on an oven tray. Bake at 220 degrees for 20 minutes or until golden. Previous Post: « Pear and date loaf, no added sugar!